1-1/2" Natural Woodland Ribbon - 85% jute burlap and 15% polyester blend. This versatile ribbon is lightweight but firm and perfect for a natural look! 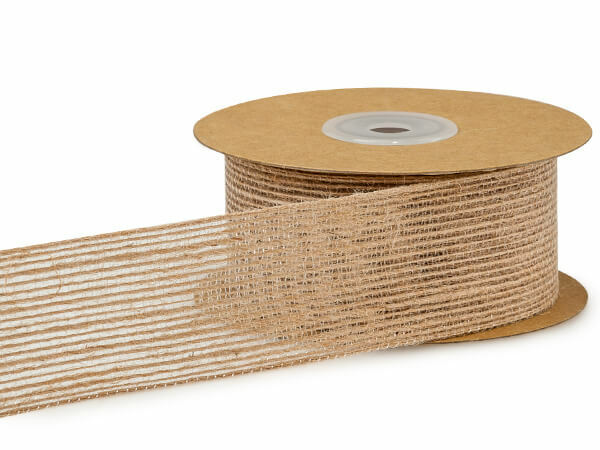 Woodland natural burlap ribbon is an open weave ribbon made from a blend of jute and polyester. This versatile ribbon is lightweight but firm and is available in three sizes and perfect for all occasions.